For the 15th consecutive year, the Cheetah Conservation Fund (CCF) hosted its annual fundraising gala and dinner celebrating the cheetah’s speed and elegance. 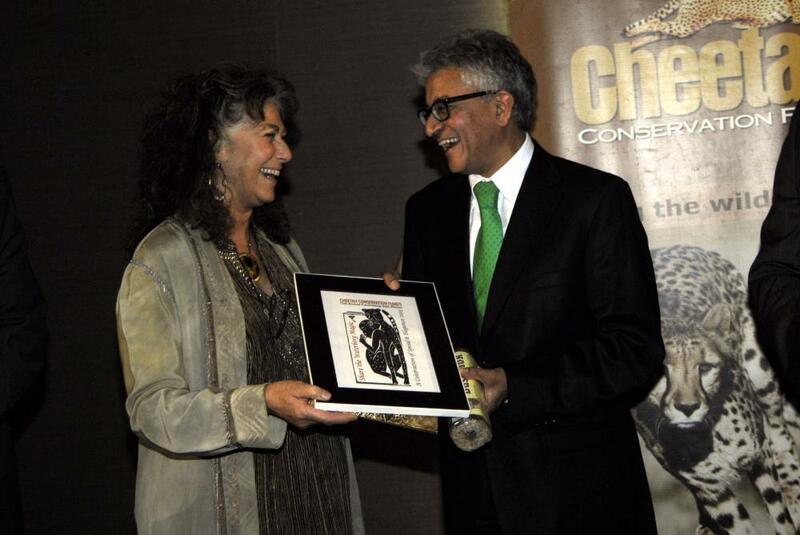 Several individuals and entities were honoured by the CCF for their valuable contribution to wildlife conservation. This annual event, which is now much-anticipated by Namibian conservation circles, was held at the Windhoek Country Club on 12 July. This year’s theme, Share the Waterberg Magic, celebrated the magnificent landmark that is the jewel of the Greater Waterberg Landscape, and highlighted CCF’s long-term efforts to ensure the survival of the wild cheetah. Approximately 290 people attended the event, including individuals from the business, conservation, agriculture and government sectors in Namibia and international circles. CCF Founder and Executive Director, Dr. Laurie Marker emphasised the need to conserve Namibia’s treasures, and explained the importance of the Greater Waterberg Landscape initiative, which inspired this year’s Gala theme, Share the Waterberg Magic. Working with the Namibian Protected Landscape Conservation Areas Initiative (NAM-PLACE) –a project under the Namibian Ministry of Environment and Tourism, the United Nations Development Program and the Global Environment Facility, CCF aims to foster an economic system where humans can live and persevere within the natural scope of a healthy, intact and bio-diverse landscape. 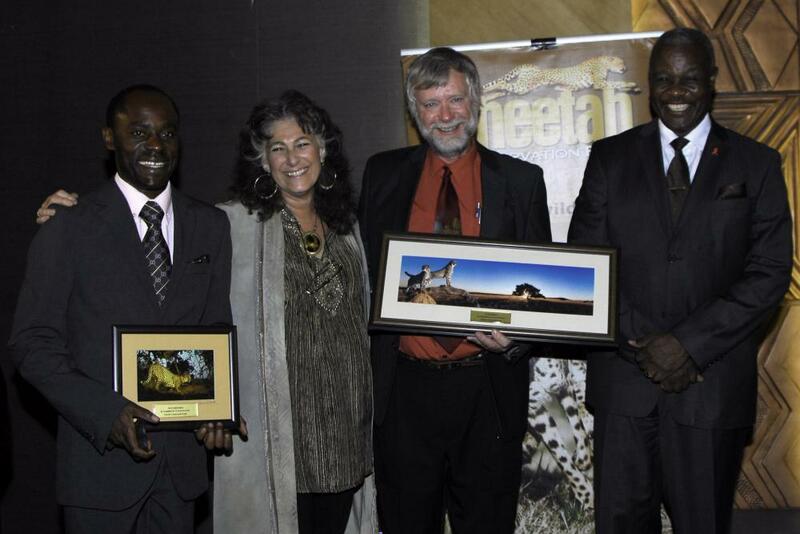 Dr. Marker presented three 2013 Cheetah Conservation, recognising conservationists and farmers who help conserve the cheetah and the Namibian environment. 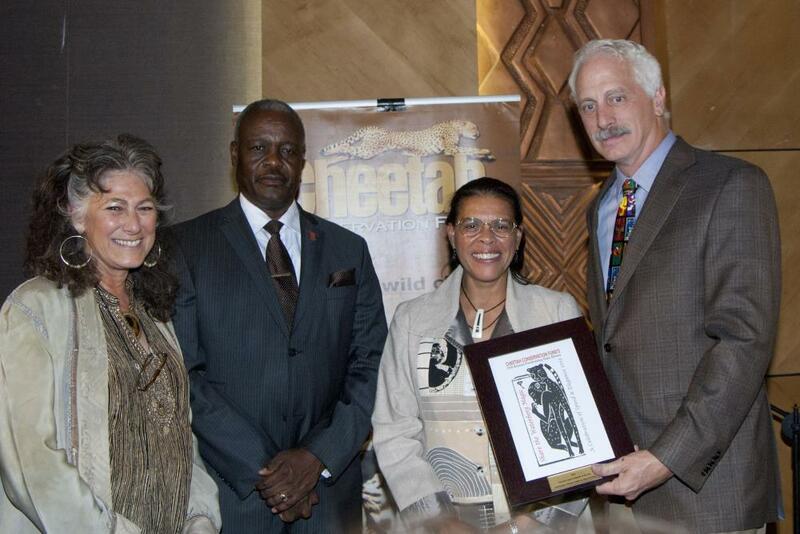 US Ambassador to Namibia Wanda Nesbitt and her husband Mr. Jim Stejskal were honoured as the 2013 Cheetah Conservationists of the Year. The Ambassador and her husband Jim have been a valuable resource in assisting CCF with the care of one of CCF’s most precious Livestock Guarding Dogs, Cappuccino, who was birthed by artificial insemination and holds precious bloodlines. 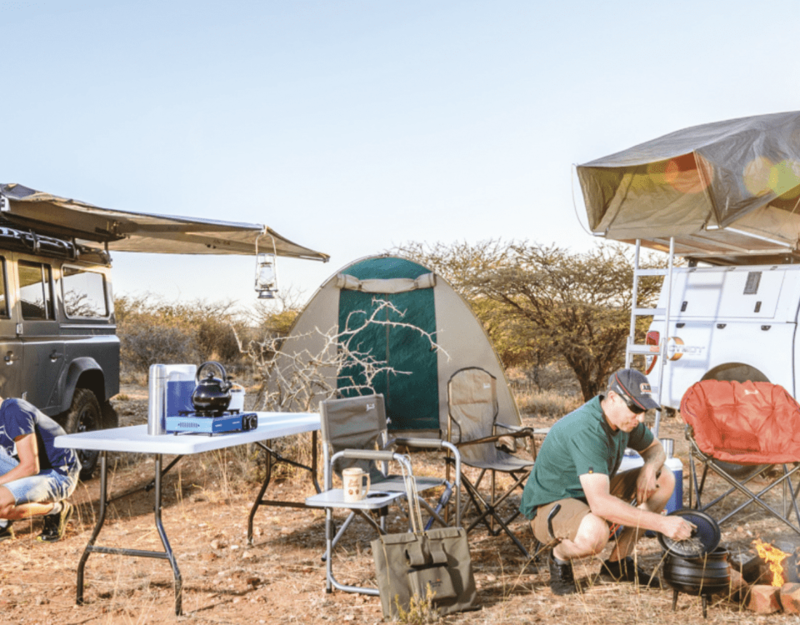 FNB Namibia was honoured as the 2013 Cheetah Conservation Business of the Year for their visionary approach to doing business in the 21st Century by supporting projects that enhance the lives and the environment of the communities of which they are a part of. 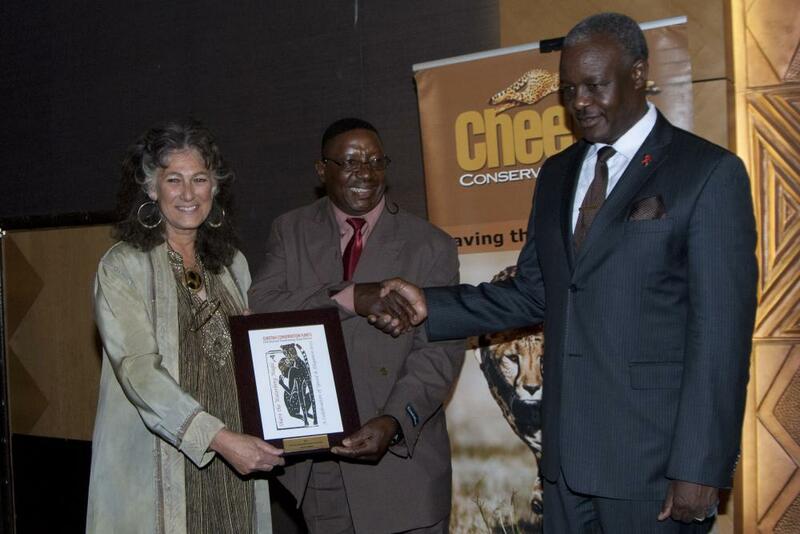 Andreas Hishiko, a commercial cattle, sheep and goat farmer, received the 2013 Cheetah Conservation Farmer of the Year Award. Andreas has been a friend of CCF’s since 1999, and exemplifies how to successfully prevent livestock losses to predators by giving CCF’s Livestock Guarding Dogs the proper care and attention. Marker also recognised two of her key staff members: Matti Nghikembua, Senior Ecologist, and Dr. Bruce Brewer, General Manager of CCF and CCF Bush Pty Ltd, for their 15 years of service on behalf of the wild cheetah. Alpheus !Naruseb, Minister of Lands and Resettlement, delivered the keynote speech representing President Hifikepunye Pohamba. The silent auction once again was a huge success, with over 120 items donated by local and international businesses, included artwork, jewellery, Namibian craftwork and recreational ‘get-aways’ at exclusive Namibian and international tourist venues, including stays at CCF’s exclusive Babson Guest house.